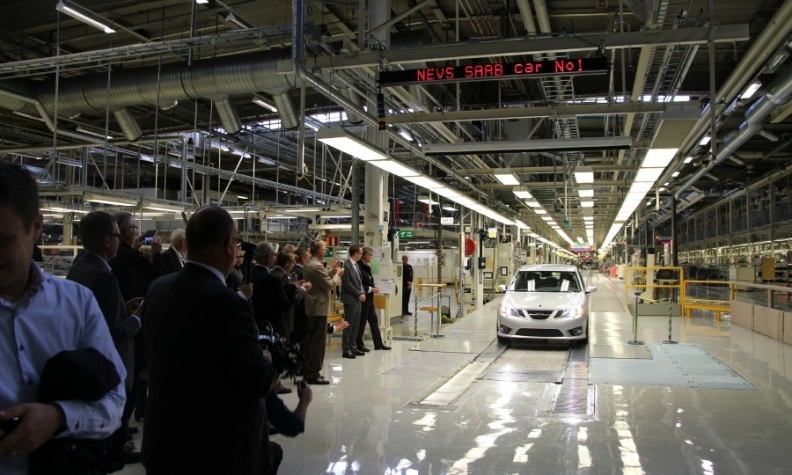 Onlookers watch as the first pre-series NEVS Saab 9-3 car leaves the assembly line in Sweden. Saab's new owner, National Electric Vehicle Sweden (NEVS), has built two Saab 9-3 test cars at the brand's Trollhattan assembly plant in Sweden ahead of a production launch later this year. The vehicles, which left the production line on Wednesday, are the first Saabs to be built at the plant since it closed in April 2011 ahead of the automaker filing for bankruptcy eight months later. NEVS say the cars are primarily intended to assist in calibrating production line systems and to test new components ahead of full production. "Prior to our decision to start production of Saab cars, we need to finalize a few remaining dialogues to build partnerships with suppliers. We now know that the plant is ready for production," Mattias Bergman, acting president of NEVS, said in a statement on Wednesday. NEVS plans to start output of the 9-3 powered by a gasoline turbocharged engine later this year. The model will be very similar to last Saab produced in 2011, Mikael Oestlund, a spokesman for NEVS, told Automotive News Europe. An electric variant planned for production in 2014 will feature a new face-lifted exterior, Oestlund said. 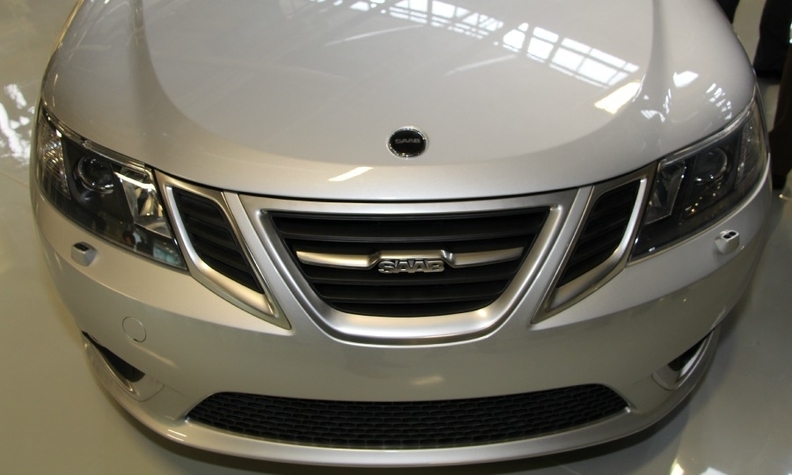 Future Saab cars will not have the distinctive griffin head badge seen on previous Saabs after NEVS failed to acquire the rights to use the badge when it bought Saab out of bankruptcy last August. Saab's griffin logo has been replaced by a simpler badge. Former owner Spyker, which bought Saab from General Motors, failed to revive the brand after trying unsuccessfully to arrange several deals with Chinese investors. NEVS has said previously it also plans to build cars based on the Phoenix architecture developed by Saab before the automaker went bankrupt. The platform will have to be modified to remove the 20 percent of parts sourced from GM. The company plans to build 120,000 units of the 9-3 a year by 2016, according to a report by Bloomberg in January. That target would come close to the brand's 2006 peak of 133,000 autos. NEVS says the 9-3 will be sold in Europe and China initially with U.S. sales possible later.